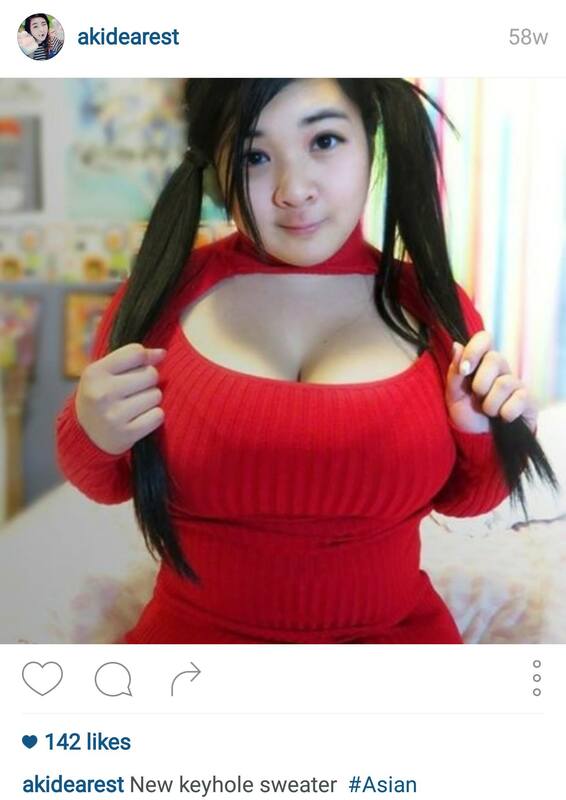 Akidearest/Agnes is a Youtuber who makes videos about anime, Vocaloids, and other weeaboo-esque topics. She is an American-Filipino from Las Vegas. Pissed off the Vocaloid fandom; see this post and this post. She essentially makes Vocaloid videos with next to no knowledge about the industry/ community/ anything. tl;dr - she's basically weeaboo who doesn't know what she's talking about. The Anime Man/Joey/Johnson is an anime Youtuber who makes videos about current anime trends/seasonal roundups etc. He is half-Japanese and living in Japan. For around half of 2016, Joey lived with Shine (Einshine/ ShinePhD) and Kat (Nyansai/Nyanafk). He moved out in September 2016. If you want to read about Shine and Kat, you can check out their thread here. 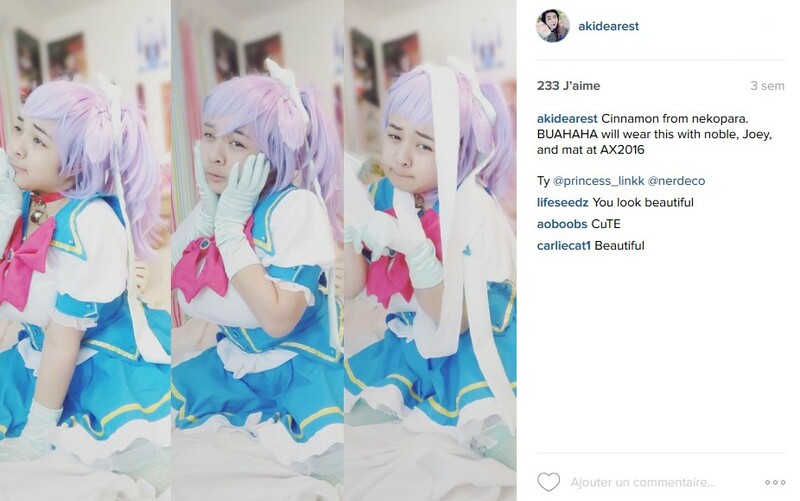 Once trashed Venus Angelic with Shine over her notorious "How to look half Asian video"
Features Aki in his videos and appears in her videos frequently, despite stating that he "doesn't want to be that Youtube couple"
Because of this, there seems to be a distance between Noble and Johnson's other friends such as MistyChronexia and other Youtubers. tl;dr - most of his problems comes from his relationship with Aki, but he has his own issues too. I occasionally watch her videos when they show up on my newsfeed. I'm not a fan of hers by all means, but I don't think her behaviour can be considered problematic. Yes, a lot of people may associate "otaku" with bad connotations but personally, I don't think it is at all. It's just another way of calling oneself a nerd. I'm not quite sure about the credit part since I haven't really thought or noticed it. I never noticed if she did this. Do you have the link to this? I've only watched a few videos (mostly the vocaloid list videos) but from what I've seen she always had proper links and credits in her description. Her videos are click-baity and her behaviour at times is cringe-worthy, but not 'problematic'. I mean seriously, Otaku has a different connotation generally in the west than in Japan. In Japan Otaku generally just means house-dweller (not specifically related to anime either, otaku was first coined for the crowd who frequented Akihabara for the computer junk stuff). So the word just kind of meant people who didn't leave the house thus the negative connotation. In the west however it just became an easier term to refer to oneself so that they can tell people they like anime under one quick tag. It's like 'goth' for example, you look at the word goth and know exactly the kind of stuff that person would be into if they said they were a goth. Put it this way- it's nicer than 'weeaboo'. My friend who isn't necessarily into anime met someone for the first time and she noted that they had anime on their phone- and she made the mistake of asking the person if they were a 'weeaboo' (thinking weeaboo was just a term for people who like anime). The person got very offended, so it's just a nicer word to use for people who are into that stuff. -A lot of the songs were old, 'babbys first' type songs. Nothing really new or recent, mostly just very famous old songs. People were pissed that she was rehashing the same old stuff rather than trying to introduce viewers into more updated and recent content. However even though this point is true- Aki never did express that she wanted to create a consecutive formal list of Voca songs, for all we know she might have just wanted this to be an 'introduction to Vocaloid' series. I don't see the problem with these sorts of lists personally, but I do see an issue that may crop up as people may just think this is what Vocaloid 'is' in 2016 and is all that the sub-culture offers. -The clickbaityness of the lists were a valid point brought up, but thats just more people being butthurt that she's getting a lot of views on lists that were 'lackluster' in many's opinion. I'm subbed to her, don't watch every single one of her videos but do enjoy a couple every now and again. She's funny and entertaining. I think she tries a little to hard to be appealing to her male fandom… and that is not about the way she dress (even though in some videos the fanservice-y approach is totally unnecessary) but more about the fact that she points out a lot that she likes tentacles? Like: Even if that is her fetish and she likes Manga / Anime / Doujinshi with tentacle I don’t think it is necessary to point that out? I heard of her. I used to watch some of her videos. Like what the others said, she calls herself an otaku and makes youtube videos about vocaloid, anime etc. She's also a Fil-Am (Filipino-American). I know because she said that in one of her videos about how her family accepted her as an otaku and spoke some tagalog. I think that she's just trying to be funny and entertaining even though she might look like a try hard or cringey to some (imo). 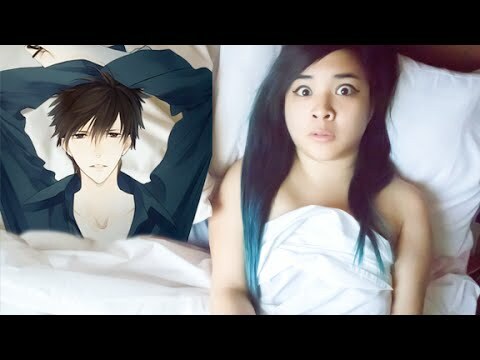 I think she may have a connection to a youtuber, "The Anime Man" because she talks about him in some of her videos. I think they were feautured together in another video and I've seen them talk in each other's youtube videos but I dont really know much about them other than my observations. I think they're just friends but they flirt with each other online to try to make their fans ship them (like what Joey did with Shine by making a video dedicated to kissing each other ). It's a bit cringey to me how these anime vloggers are pushing the shipping onto their fans. Usually things like that happen naturally. You don't have to give constant "fanservice" and make the fans ship you; the fans will decide by themselves whom they are going to ship. I personally like Aki, I think she is quite smart in how she markets herself (perverted, dorky, quirky, flirty yet informative enough) and the click bait/objectification of herself is working wonders for her the growth of her channel, I commend her for it. Power of a woman. As for her and Joeys relationship I think they are just both flirtatious, perverted people who are two peas in a pod. I also believe they may sext--weird thing to assume, I know--as one time Aki bought a skimpy kitty keyhole outfit and as she tweeted out about having purchased it, Joey tweeted her saying "I know." which could allude to a sexual exchange between the two via text, skype, whatever, which is a scandalous thought, just me reading between the lines though, may or may not be so. They tend to flirt openly online often, but I unfollowed Joey a while ago and haven't kept track since. Here is said kitty keyhole outfit: Because of how openly perverted the two are I wouldn't put it past them, which isn't to say a bad thing. It's some juicy goss, though! Knowing that this forum will close soon, I'll just let all my crazy thoughts and theory out then. A: Hey, since shipping works so well on YouTube, why don't we insinuate that we're dating so that our fans will start shipping us? I'm sure that will work well for both our channels because it will make us both more relevant! J: Good idea! Hi-five fam! sorry that the pics came out huge..